Make math your mission in this STEM game specially targeted towards girls. John F. Kennedy's voice inspires kids to play through this history app's two fun learning missions. 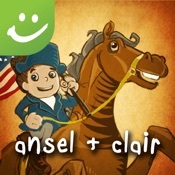 Kids travel back in time to meet Paul Revere, Samuel Adams, John Hancock, and other famous Revolutionary War heroes in this engaging app that makes history come alive. 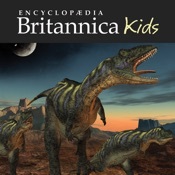 This reference app houses information about 36 dinosaurs. Presented as an animated comic book, this mystery has Carmen and her gang stealing the Statue of Liberty. Kids become gumshoes and solve this crime by doing math problems. This action game is full of platform puzzles set in the world of the Spy Kids 4 movie. Educational and fun simulation games that teach kids about biology. Brain Quest flashcards and workbooks just got a techie facelift with this fun handheld game that makes learning fun.